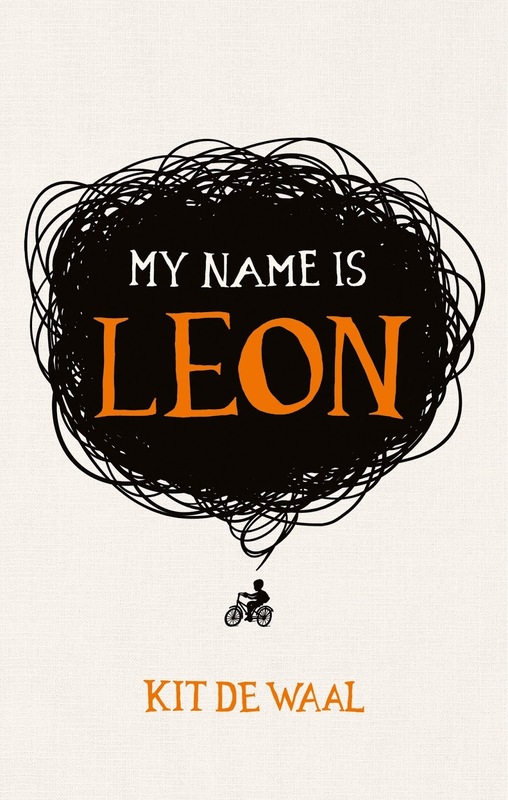 BleachHouseLibrary.ie: Book Review - "My Name Is Leon" by Kit de Waal. Nine-year-old Leon has been placed in care, along with his baby brother, Jake. His Mum is not able to take care of them and social services need to find them new homes as soon as possible. Jake is adopted fairly quickly, as not only is he a baby, but he is white. This is the early 1980s and mixed-race kids, like Leon, are not as easy to pass off as your own. It's hard enough being a foster child, with the uncertainty it brings, let alone having your family ripped apart. Leon dreams of finding his brother and taking charge of their lives. But where does he start? There has been no shortage of fiction about adoption, the children usually grown-up and searching for their heritage. When it comes to fostering, there has been no shortage of 'non-fiction' titles (usually with a close up picture of a child's tears on the cover), lording about how the most amazing foster mother in the world has 'rescued' children, like never before, all whilst hugging them to her ample bosom and feeding them fish-fingers and chocolate digestives. There are many harrowing stories in the media about foster children who have slipped through the cracks, been placed in abusive households or suffered at the negligence of the social services. But what about the average child in care? What about the foster parents (myself included) who just want to give a child a chance in a safe and loving family environment. Fostering does NOT always mean drama. Usually the biggest drama is the endless bureaucracy and form-filling. This is why I approach fiction featuring foster children with caution. When this book landed here, early this year, I picked it up with the intention of just reading the first few pages and then adding to my ever-growing pile of To-Be-Read titles. What I hadn't figured on was that I would be sucked into Leon's world. Completely hooked on his story. The circumstances of Leon's placement are nothing new. A mother, overwhelmed and lacking the mental strength to look after two young children. Leon has been the main care-giver thus far but baby Jake is getting bigger and their neighbours begin to fear for their safety. The author brings the reader into the mind of Leon. He can't understand why he has been separated from his brother. He wonders if he will ever be wanted himself. When his foster mother becomes ill and sends him to stay with her friend, Sylvia, he feels lost and alone. As he cycles through the area, he discovers an allotment and a it becomes his own world of escapism. He can hide, pretend he is someone else and even find new friends. But these friends are adults, with their own issues. In the middle of England's race-riots, Leon struggles to find an identity, all while planning his reunion with his brother. "But no one cares about me. No one cares about my brother [...] But no one cares about that. I can't see him. I keep asking and asking but you only care about yourself. Everyone steals things from me." This may be Kit de Waal's debut novel, but she has touched on an age-old issue. Fostering can still be a taboo subject, even in our so-called liberal age, and one thing has not changed; the children are blameless. They are victims of circumstance and should not be categorized as anything but children. They deserve the same opportunities in life as any other child. They are usually highly-astute, with an uncanny ability to see/hear/feel things that we may have not noticed ourselves. This book cleverly shows how they intuitively know when they are being discussed and how they can become invisible in the blink of an eye. The 1980s setting gives the book an added dimension, with Charles and Diana's wedding, street parties and racial stigma making appearances. The characters are varied, of different classes and backgrounds, multi-cultural and yet all thrown together in a troubled England. This is not 'misery-lit'. It's not fantastical fiction. It is the very real voice of a child in care. The frustration, the anger, the insecurity and the endless uncertainty. But it is also a story of friendship, love and family. Sometimes blood is not enough. Sometimes water is a lot thicker than it looks. Ideal for fans of Elizabeth is Missing and The Curious Incident of the Dog in the Night-time. 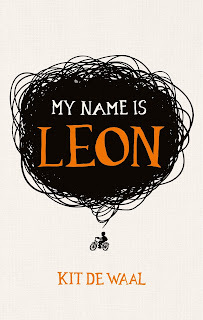 My Name Is Leon is published by Viking and is available in HB and ebook editions.